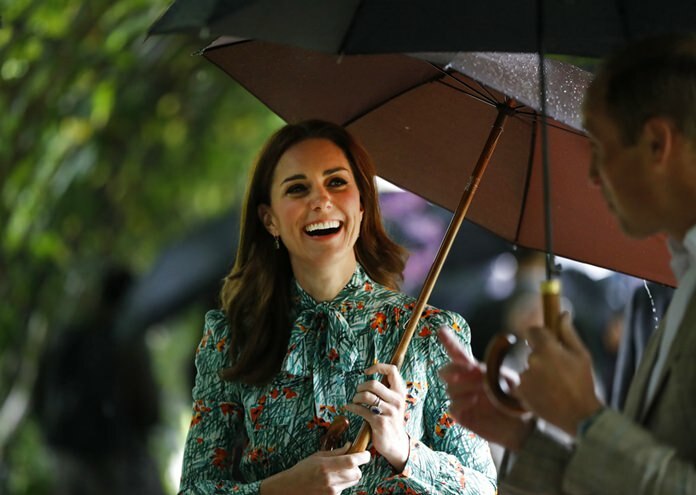 LONDON (AP) — Prince William’s wife, the Duchess of Cambridge, is pregnant with her third child. The new baby will be fifth in line to the British throne. Here’s a brief look at the rest of the family. Two older siblings will welcome the new arrival. Prince George, born July 22, 2013, is the first child of Prince William and the former Kate Middleton. Princess Charlotte, born May 2, 2015, will be bumped to middle child status after the new baby is born. When children, Prince William and Prince Harry had often been chided as the “royal heir” and the “royal spare,” respectively. But having a larger family might take the pressure off the children in the succession stakes. Changes to the rules of succession mean that male siblings aren’t allowed to jump ahead of their older sisters, so Princess Charlotte’s place in the line will not be affected. The order now is as follows: Prince Charles is first in line, followed by Prince William, who is second, and then Prince George, who is third, and Princess Charlotte, who is fourth. As a great-grandchild of Queen Elizabeth II and the Duke of Edinburgh, the new arrival will be fifth in line to the throne, bumping uncle, Prince Harry, out of the top five. Prince Harry says the news of Kate’s latest pregnancy is “fantastic.” Though Harry is pushed down the line of accession, this may not be unwelcome news. Harry suggested earlier this year that no one really strives to be the monarch, but carries the role out of a sense of duty to the nation. The family’s latest addition will be Queen Elizabeth II’s sixth great-grandchild.